Turnips 2 Tangerines has taken the challenge. 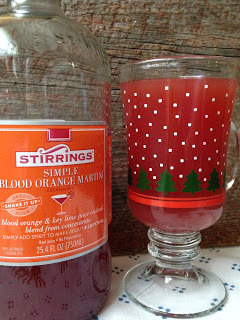 Stirrings Stir It Up Holiday Mixology Challenge! Stirrings is Creating Simply Better Cocktails. Stirrings~ is the maker of super premium cocktail mixers. Turnips 2 Tangerines has taken the challenge and will compete in the: First Annual “Stir It Up Holiday Blogger Mixology Challenge” Spiked Cranberry Tea is a warm delicious tea that can be made with or without a splash of Cranberry Vodka. Warm Cranberry Tea is delicious. Serve this tempting adult tea while sitting by the fireplace, while decorating the Christmas tree or when you come in from the cold. This recipe is based on a recipe I have been making for many years and is a holiday staple in my house; Brandy Slush. A brandy slush is always served as a slushy drink, whereas this drink made with vodka and is served warm. In a 3 quart saucepan, combine first seven ingredients; bring to a boil over medium heat. Boil for 7 minutes, stirring occasionally. Remove cinnamon and cloves. Add tea bags and allow to seep for 5 minutes. Remove tea bags. To serve; mix 1 cup concentrate and 2 cups Stirrings Simple Blood Orange Martini; heat through. 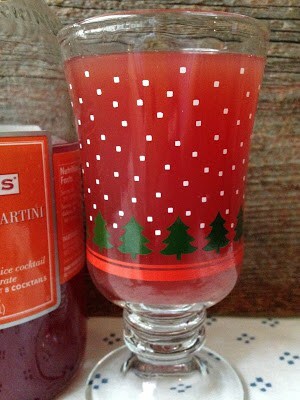 Pour 1 measure cranberry vodka into 6 oz serving cup, top off with warm cranberry/orange mixture. Store concentrate in a covered container in the refrigerator.